In the Great Smoky Mountains! So what are timeshare rentals exactly? It's a form of property ownership (usually condominiums) held by multiple parties where each member has the right to use the property during a certain time period. 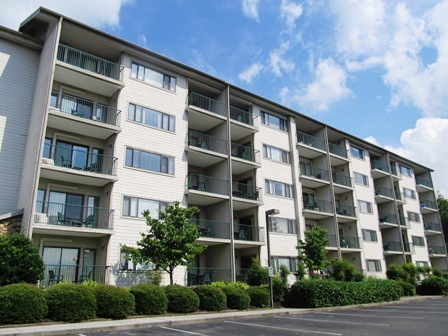 A rental comes about when a member of the timeshare party rents the property instead of using it themselves. Whether you want to own one or participate in renting, this type of lodging is another ideal way to enjoy luxurious living in more ways than one! You'll definitely be impressed by these lovely timeshare rentals! BLUEGREEN VACATIONS has locations in Pigeon Forge, and Gatlinburg. Of course you can buy timeshares, however renting is also available. They offer timeshares throughout the U.S. as well as Aruba, and the Bahamas.Bluegreen offers a unique ownership plan; one that offers quality, flexibility, and satisfaction. There is an exchange network available with more than 4,000 resorts and vacations worldwide that also includes hotel stays, and cruises. Enjoy the great outdoors by discovering an exciting Bluegreen vacation. MARRIOTT TIMESHARES - The name "Marriott" is well known here in the Smokies, as well as everywhere else in the world! Marriott has a vacation club featuring both sales, and timeshare rentals. Take your dream vacation right here,or anywhere else in the world. Marriott's vacation club is on a point system that allows you to go on vacation every year. Marriott offers two main types of vacation club ownerships. Week Ownership requires you stay for a week at your Marriott timeshare, or go through Interval International and exchange your timeshare for any other Marriott or Interval International affiliate. Marriott Vacation Destination club Points Ownership lets you purchase points. Points are allotted each year allowing owners to bank, borrow, and transfer Destination points. This gives you more flexibility, and makes for an easier way to vacation. Visit the secondary marketplace on SellMyTimeshareNow.com and find hundreds of low-priced Gatlinburg timeshare rentals in the area’s most popular resorts! 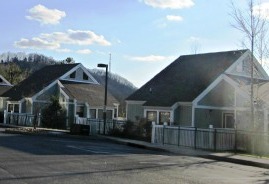 Units are also available for sale allowing you to visit Gatlinburg every year for less! Brand names like BlueGreen and Marriott, though extremely high quality can be pretty pricey if purchased or rented directly. This is where SellMyTimeshareNow comes in; you can buy or rent a timeshare in the Smokies through this private online reseller at up to 70% off. Obtaining timeshares from current owners rather than the resorts themselves has become an increasingly popular option for those wanting luxurious accommodations on a budget. There are lots of folks who love the timeshare method of vacationing. They would not travel any other way! When you're ready to plan your vacation in the Smokies, consider buying, or renting Timeshare rentals so you can plan your vacation your way and know exactly what you're getting every time! WYNDHAM RESORTS offers timeshare for purchase, as well as timeshare rentals. These timeshares are located in Dolly Parton's hometown of Sevierville, TN. Becoming part of Wyndham Resorts has its advantages! Club Wyndham offers a flexible points system. Becoming a member means having access to some of the world's most popular vacation spots! There are also additional owner benefits that include hotel, air, and car discounts. Cruise packages are also available. Whether you're planning a romantic weekend getaway, a full week with family, or coming together for a special occasion, Wyndham lets you plan your vacation your way! 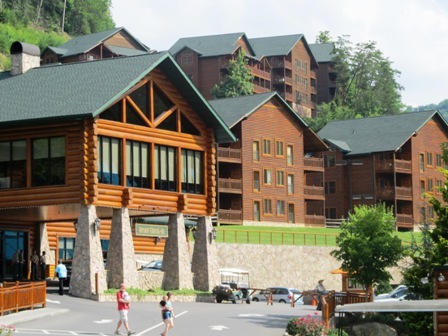 WESTGATE SMOKY MOUNTAIN RESORT is the ideal place for the "perfect" Smoky Mountain Vacation! Located near Gatlinburg, it has everything needed, for a great getaway! Westgate's awesome selection of Timeshares for purchase, or for rent will have you laid back in the "lap of luxury" in a log cabin style villa with all amenities. You'll love their indoor water park, and whirlpool tubs. They also have cable TV, and a full kitchen area. It's the perfect place to wind down and enjoy the awesome beauty of the Great Smoky Mountains! Westgate sits near Pigeon Forge, and just a one skip away from Sevierville! 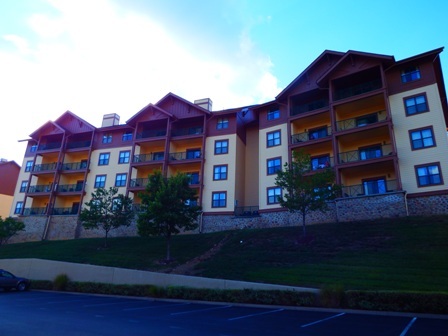 This beautiful resort is near all Smoky Mountain attractions, so you won't miss a single exciting adventure!